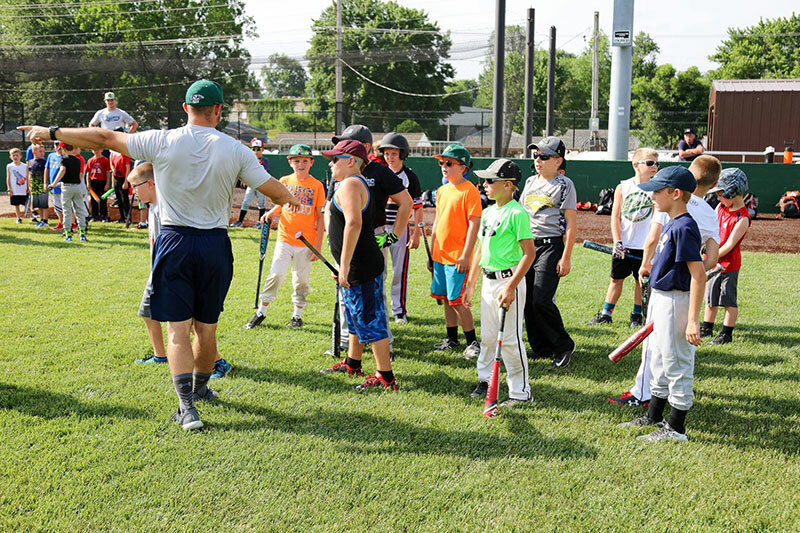 Have your birthday at the ballpark in 2019. 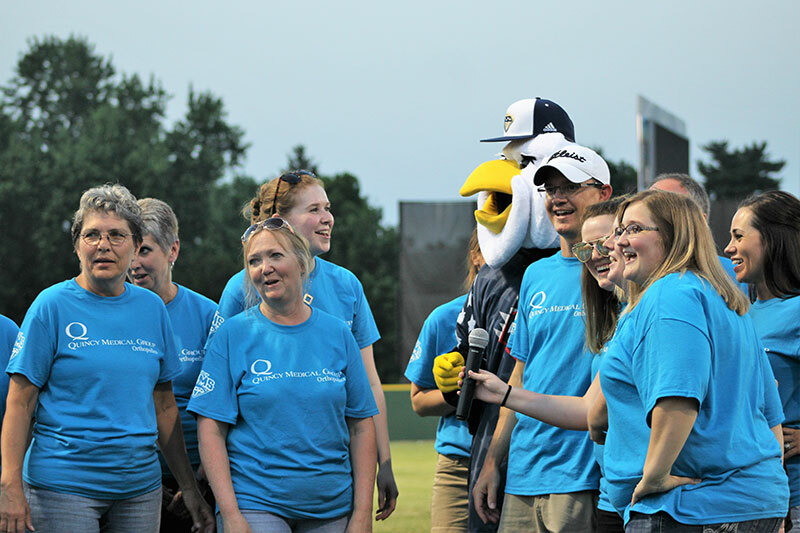 Have your next corporate outing at the ballpark in 2019. 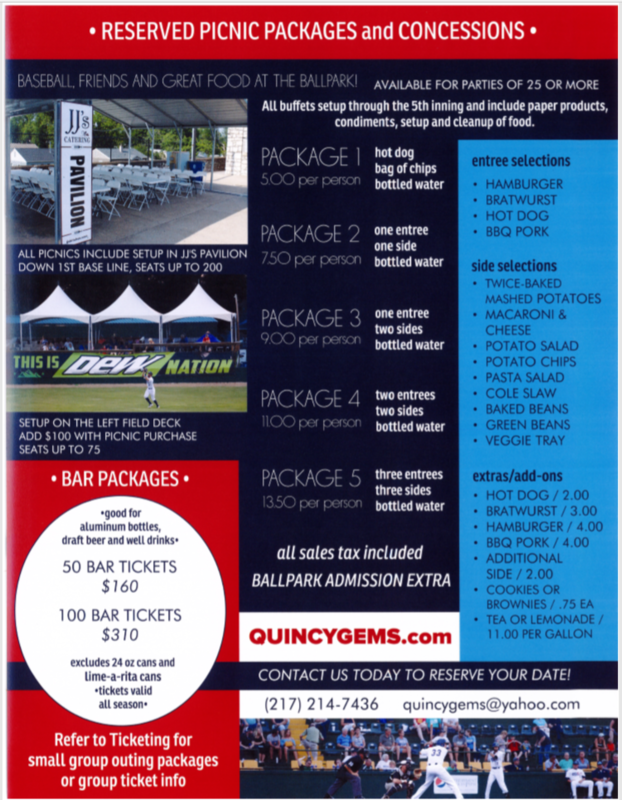 Where ever you go in QU Stadium, we have you covered with our amazing concessions. 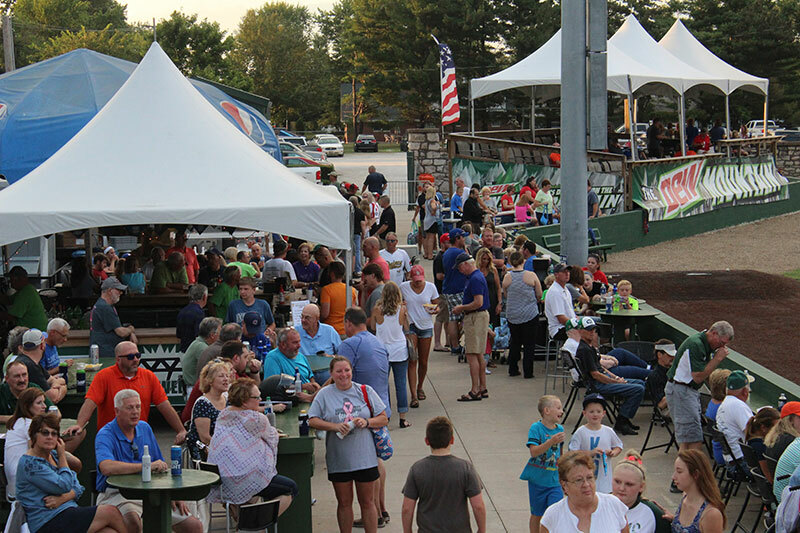 We feature all the ballpark classics including hot dogs, brats, popcorn, pretzels, sodas, and beer. Stop by any concession stand and be sure to get your favorite ballpark treats! BBQ Pork, Hamburger, Cheeseburger, Bratwurst, Hot Dog, Chili Dog, Corn Dog, Nachos & Cheese, BBQ Pork Nachos, Chili Cheese Nachos, Pretzel & Cheese, Chicken Strips, French Fries, Cheese Fries, Chili Cheese Fries, Popcorn, Peanuts, Chips, Soda, Iced Tea, Lemonade and all sorts of ice-cold beverages from our bar will be available for purchase at every game. Click on the View Concessions Menu to check it all out! 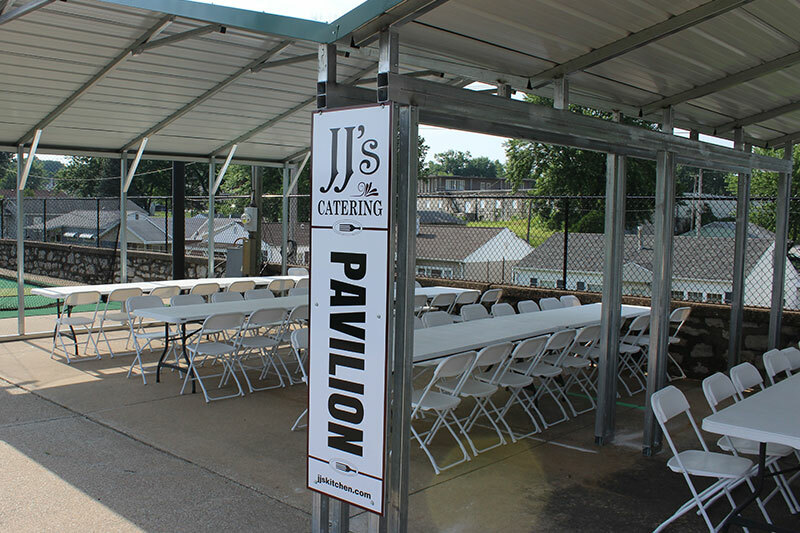 Host your Company Picnic, Rehearsal Dinner, Class or Family Reunion, or next occasion to party at the ballpark in the JJ's Catering Pavilion on the 1st base side of the stadium. This area seats up to 200 people. 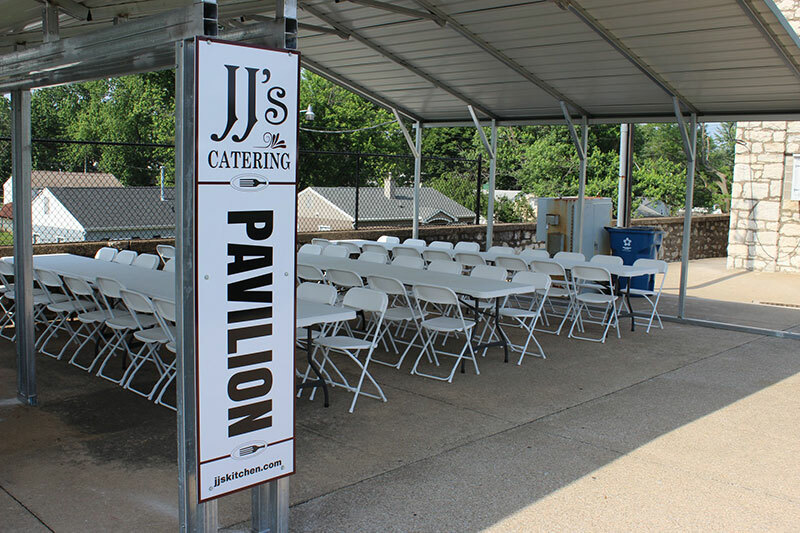 Contact us today to book your party! 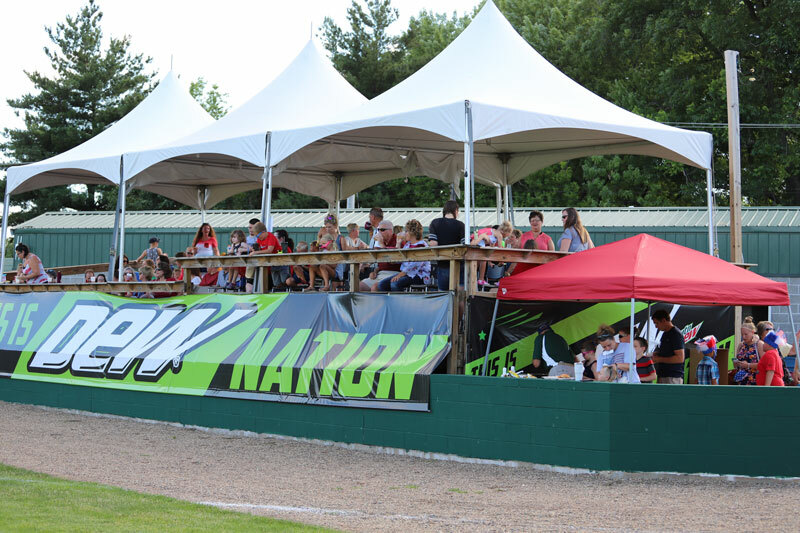 Host your friends and family for a fun night at the ballpark on our "Dew Deck" that is setup on our left field deck and seats up to 75 people. This is the best location for the right size group to enjoy the game from the deck with one of the best views at the stadium. We have ALL-NEW food package options for the 2019 season that are sure to take your game night experience to the next level. 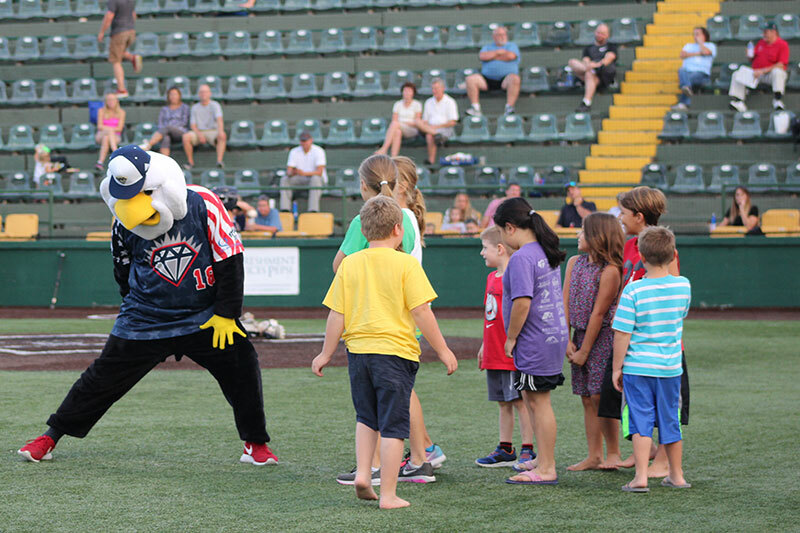 From ballpark favorites like hot dogs and burgers to BBQ Pork and brownies.